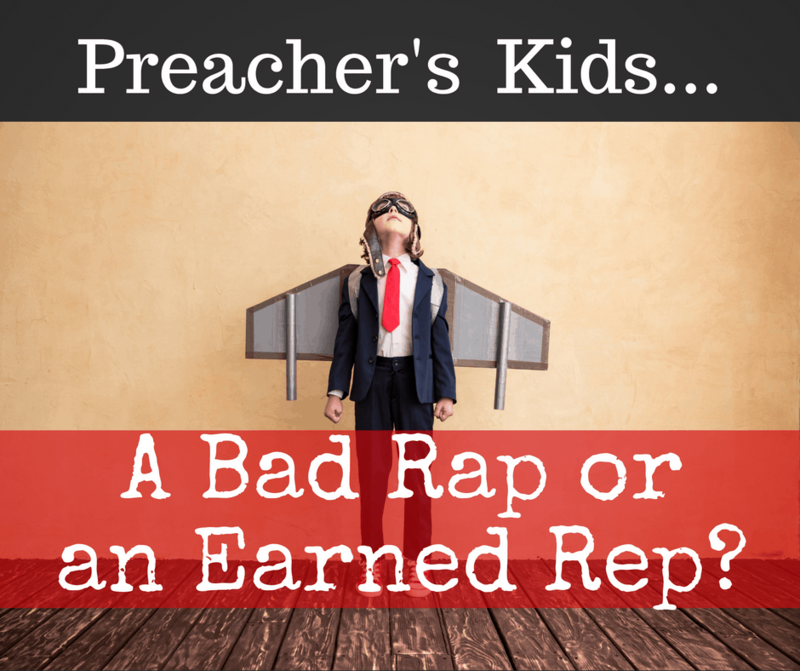 You are here: Home / Ministry / Preacher’s Kids…A Bad Rap or an Earned Rep? About a year ago, I walked into the fellowship hall at our church and saw the preschool teacher looking down a hallway. From my angle, I couldn’t see who she was talking to, and she hadn’t heard me walk in. She was in the middle of reprimanding a kid, and I caught the tail end of it. She then turned and saw me walking towards her, and she went white. 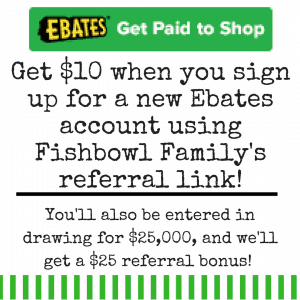 This post contains affiliate links which means that if you click on a link and make a purchase, I’ll receive a small compensation. All opinions are solely my own. Thanks for supporting Fishbowl Family! Her face literally drained of color and her eyes grew huge. I’d had my suspicions before, but upon seeing her face I was positive that it was my son she’d been talking to. Sure enough, I rounded the corner to see my sweet little Dax walking with his head down, back towards the group. Most of us have heard horror stories, or even seen with our own eyes, pastor’s children that were true terrors. Sadly, this is such a common occurrence that there’s even a nickname for it – PKs, short for Preacher’s Kid. As the mom of four PKs, I expect a lot more from my children. But, like most mom’s I can’t do it alone. I need the help of my church family just as much as anyone else. 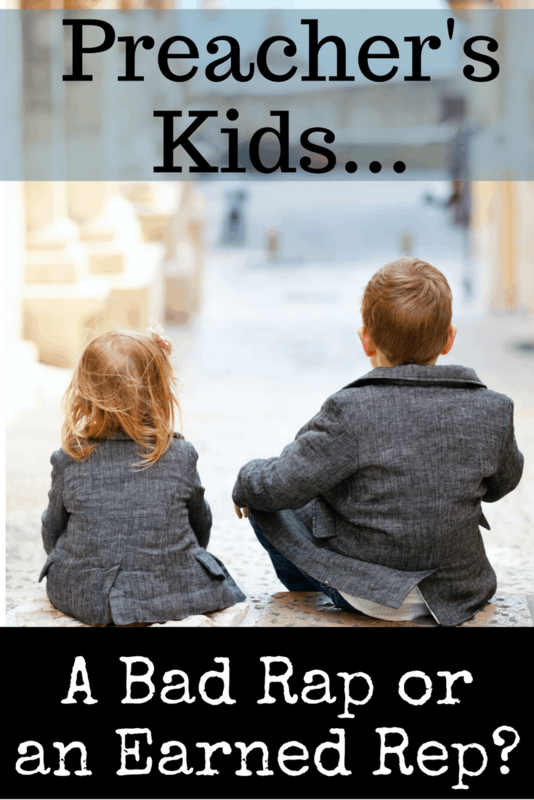 Here are three things that I wish I could tell everyone who works with pastors’ children. Take a minute and think about how much time the average church going kid spends at church in a week. Now, double or triple it for pastor’s kids. My family may not always be the first to arrive at events, but we are always the last to leave. During the summer, we bring their dad lunch and have picnics in his office, and the kids play in the gym when we are finished. Add to all this the fact that we rarely miss a Sunday morning or night, Wednesday night, weekend event, or midweek Bible study, and you’ve got some kids who are pretty comfortable at the church. Which is a great thing for the most part. I don’t want my kids to feel uncomfortable at church, but it is a fine line. While it might be okay to race your brother down the Sunday school hall on a weekday while Mom is painting the nursery, it’s not okay to race your brother down the hall on a Sunday morning to get to your Sunday school class. It is the people that transform a building into a church building. The church uses a building for worship, fellowship, and Bible study. It’s the activity that makes the building and the time sacred. That is a hard concept to explain to a five year old, and even if they understand it conceptually, putting that knowledge to action is still tough. So as adults, keep in mind that pastor’s kids often view the church as a second home. When you see unacceptable behavior from them, ask yourself if this is purposeful disrespect or simply a case of child that has forgotten the day of the week. Remember that pastor’s kids are still 100% kids no matter who their dad works for. Just as their father doesn’t have a direct line to God, they don’t have anything special in them to make them behave better than the average child. So make sure you aren’t expecting more of them than the other children. Expect exactly the same behavior from them as every other regular church going kid. But be careful of the flip side of this. Don’t lower your expectations beneath the other kids. When I was growing up, I knew some pastor’s kids that were allowed to run wild. They were the definition of PKs. No adult wanted to correct their behavior because they simply didn’t listen. They ran down the halls of the church, pushing people out of their way, and yelling loudly every Sunday morning. They played tag in the sanctuary after the morning service. As they grew older, the wildness escalated and they skipped youth on Wednesday nights and talked other kids into skipping with them. Other kids would get in trouble, but the preacher’s kids got a pass. Don’t give preacher’s kids a pass. When they were baptized into the church in front of you, you entered into a contract. You agreed to accept them into the church and they agreed to grow into the likeness of Christ over time. Part of that agreement is to practice some discipline within the church. Expect your pastor’s kids to mess up and be ready to help them get back on track. My kids are already in a pretty bright spotlight at church. Their dad regularly tells stories about them as sermon illustrations so most church members know their names and even a little bit of their personalities. You probably know your pastor’s kids in the same way. Since you know their names, don’t hesitate to use them. After church, while their dad is shaking hands at the back door and their mom is talking to a steady line of women needing information about the nursery rotation or whatever, the kids are unsupervised in the church. 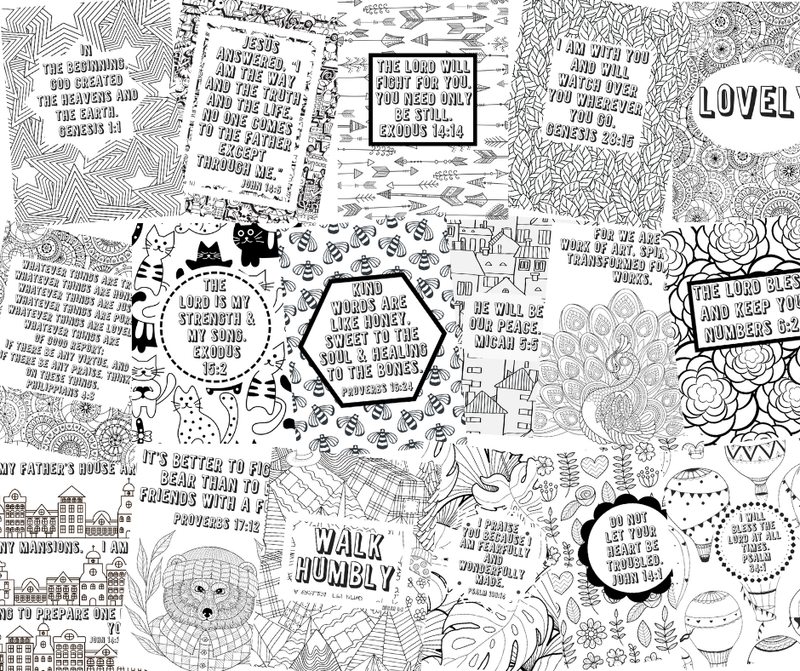 And like most kids, when given the choice to sit quietly and color in their awesome scripture filled coloring book, play with their magnetic dry erase board farm set, or run freely, they choose to run. So, often people see my kids running through the aisles or up on the stage messing with microphones pretending to preach and sing or in the balcony throwing paper airplanes down on the crowd. With four young kids, it’s hard to manage them in the enclosed Chick-fil-a playground where they are allowed to run, yell, giggle, chase, and play tag. There are some Sundays that I look around the sanctuary and see three of my kids running and playing while I hold the fourth who is crying because he’s sleepy/hungry/a baby, and I wonder if it will ever get easier. See, we are not in the sanctuary alone. There are adults standing all around watching my kids run wild. Many of them are shaking their heads and shooting me looks as if they are so disappointed in me. I promise I’m doing my best. But there is no amount of discipline after the fact or preparation beforehand that can make up for the absence of adult guidance. Be a friend. Help me out. Seriously, it would take one sentence from an adult to set my kids straight. (This works with most other kids, too.) As Christians we are called to do exactly that. So, don’t sit back and lament the behavior of kids today. Instead, when you see the pastor’s child, or any child, misbehaving in church, get involved. In a kind way, address the issue and offer solutions. Set an example for the kids. Don’t embarrass the child and yell at them from across the sanctuary. Don’t ignore the bad behavior. Don’t sit back and observe so that you can gossip about it later. Treat the pastor’s child like you should treat any other child. When I saw Dax walking sheepishly down the hall, I walked up to stand right beside his teacher. The audible sigh of relief that his teacher let out made me smile which totally confused her. I thanked her for making sure that Dax was safe and for holding him to the same standards as the other kids. She confided that she was afraid I’d be angry with her for correcting Dax and that she was so glad I wasn’t. I assured her that I’d never be upset with her for making my kids follow the rules. From that day forward, she has treated my kids like her own and corrected them when they aren’t behaving in an appropriate way. Would you consider how you might help your pastor, his family, and their reputation? Could you offer to help corral the kids into the car? Or take the kids to the gym or the rec field to let them run out some of their energy? Or serve them a little snack in the fellowship hall? Or start a video in the church library? Anyone who did this for us would be an instant hero to my kids and a friend to me. Such a great article, Halee. Thank you for the insight. Often PKs are held to a different standard, but the title of your blog actually says it all. Every one watching them – very similar to the City Manager’s kids, or the Superintendent’s kids. Love you and your crew so very much! Thanks Dawn! I’d never thought about the spotlight that your kids must be under! I’m sure you could give me some pointers!